Do you ever wonder how “consumer advocates” who are supposedly trying to save us all end up twisting the truth and hurting our businesses? Whether it is an attack on polish ingredients that aren’t even there or were harmless to begin with or UV lamps that have been proven safe by the very scientist that created the SPF system, people seem to gladly fork over their money to help spread these mistruths. 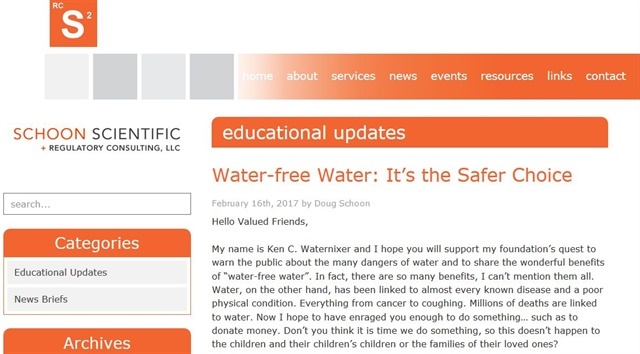 A recent Education Update released by Doug Schoon was turned into a video parody with his permission by Lucien Henderson. Both show just how easily we can be suckered in! Let's talk about the benefits of water-free water!